Rome - A row has broken out in Italy Tuesday over the government's decision to send the air force's aerobatics team to Libya to join 40th anniversary celebrations marking the military coup that brought Moamer Gaddafi to power. Centre-left opposition leaders urged President Giorgio Napolitano, as commander-in-chief of the Italian armed forces, to block the planned display by the Frecce Tricolori team. Rome - Dutch midfielder Wesley Sneijder was expected in Italy Tuesday to sign a new contract with Serie A champions Inter Milan after two seasons at Real Madrid, Italian media reported. Rome - An Italian coastguard vessel on Tuesday took on board 57 would-be immigrants who were found floating in a rubber dinghy some 10 nautical miles south of the Mediterranean islet of Lampedusa. One of the rescued was immediately taken to Lampedusa to be treated for dehydration, the ANSA news agency said, citing officials. The rest of the group, including four women, were expected to arrive in Porto Empedocle, Sicily later in the day. Rome - Spumante sparkling wine was sprayed about Saturday as citizens of the Tuscan medieval hamlet, Bagnone, planned to party through the night to celebrate the purchase at a local bar of the winning 146.9-million-euro (209.8-million-dollar) jackpot prize ticket in Italy's state lottery. Festivities centred around the Bar Biffi in the central Piazza Roma square, where the winning ticket was bought for 2 euros by an as yet unknown punter. The winning six-number combination was 10 - 11 - 27 - 45 - 79 - 88. Rome - Young Brazilian Pato opened the Serie A season with a brace that Saturday helped AC Milan win 2-1 away to Tuscany underdogs Siena. 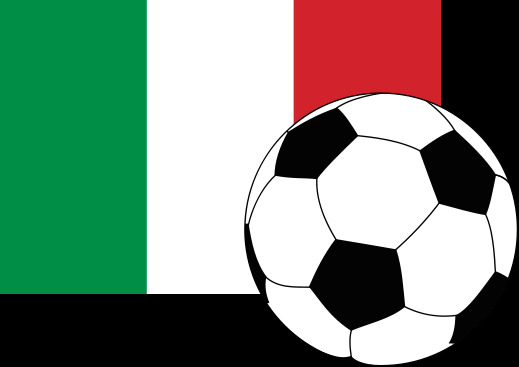 At Siena's Artemio Franchi stadium, the striker, who turns 20 in early September, missed a first chance on 10 minutes promptly volleying a loose ball, but seeing his dangerous shot deflected by a defender. His compatriot Ronaldinho displayed good form and tactic skills when on 19 minutes he set up Czech defender Marek Jankulovski for a close-range effort well saved by the onrushing Gianluca Curci. Rome - Nicolas Burdisso said Saturday that he is close to signing a new contract with Serie A side Roma after five seasons and four titles with champions Inter Milan. "It's all done," the 28-year-old Argentine defender told a radio broadcaster. "I am a player of Roma. I'm packing my suitcase and heading for Rome to sign (the contract)." His agent, Fernando Hidalgo, said that "it is agreed that the negotiation is closed. It depends on (coach Luciano) Spalletti to make (Burdisso) play or not tomorrow at Genoa (in the Serie A opening game). The player is available." Rome - Italy's state lottery 146.9-million-euro (209.5-million-dollar) jackpot prize was won Saturday, after going uncollected for almost eight months. The winning six number combination was 10 - 11 - 27 - 45 - 79 - 88. It was not immediately clear where the winning ticket was bought. The identity of lottery winners seldom become public in Italy, where the biggest prize won before Saturday's draw was 100.7 million euros, which went last October to the holder of a ticket bought in Sicily. 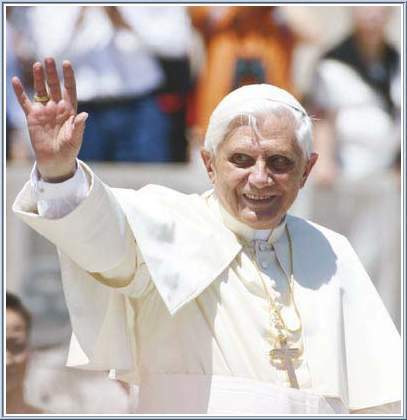 Vatican City - Pope Benedict XVI on Friday had a plaster cast removed from his right-hand wrist which he broke during a fall while on vacation in July. X-ray controls indicate the "fracture had consolidated," Benedict's personal doctor, Patrizio Polisca, was quoted as saying by the ANSA news agency. The July 16 accident has prevented the scholarly 82-year-old Benedict, who is right-handed, from indulging in his passions of writing and playing the piano. Rome - A bad-tempered Jose Mourinho found himself with few supporters Friday in a diatribe against Marcello Lippi that heated up the week preceding the start of the Italian Serie A. The coach of reigning champions Inter Milan reacted bitterly to Lippi's forecast that Juventus, the team he successfully coached before steering Italy to their fourth World Cup in 2006, were the favourites to clinch the title. 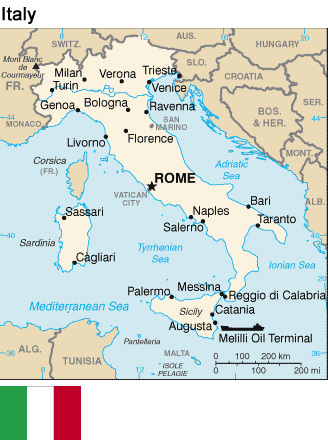 Rome - Five Eritreans rescued by Italy's coastguard on Thursday claimed that 75 members of their group died at sea, raising fears of another tragedy involving would-be immigrants. The five - including a man and a woman whose health conditions were described by officials as serious - were found floating on a rubber dinghy south of the Italian Mediterranean islet of Lampedusa. Rome - A smooth start followed by high-voltage classic games marks the beginning of the Italian Serie A for big guns Inter Milan, Juventus and AC Milan. Champions Inter have an easy home affair Sunday afternoon against newcomers Bari, but will have to switch to high gears the following weekend for a city derby with Milan. The Devils' new coach Leonardo, who remained with the club's staff after playing four seasons with Milan, begins his coaching career Saturday evening away to Tuscany side Siena. After the departure of Carlo Ancelotti, who moved on to Chelsea, the Brazilian spent the summer rebuilding a team weakened by the transfer of star Kaka to Real Madrid. Rome - Serie A newcomers Bari have reached a preliminary agreement for a transfer of ownership to US magnate Timothy Barton, the club's web site reported. Italian media reported Wednesday that Barton paid 25 million euros (35.2 million dollars) for the southern Italy club. Bari will have a new owner after 26 years under Vincenzo Matarrese, who took over from his brother Antonio, currently at the helm of the Italian league of professional football (Lega Calcio). Rome - Italian police on Tuesday arrested a fugitive mafia boss while he was on holiday with his wife and daughters in the Sicilian seaside resort of Taormina, news reports said. The 33-year-old Paolo Rosario De Stefano was picked up during a morning raid on a rented holiday home in the north-eastern Sicilian town. An alleged boss of the 'Ndrangheta Calabrian mafia, De Stefano had been on the run since 2005 and appears on the list of Italy's 30 most-wanted fugitives, compiled by the Interior Ministry. Rome - Italy's national lottery was unbroken again in Monday drawing, raising the prospect of a 200-million-dollar jackpot at the next drawing. The jackpot stood at 136 million euros (193 million dollars) on Monday after the lottery - based on choosing six numbers between 1 and 90 - not having been broken for the past six and one-half months. Rome - Seven employees of a private security firm continued a sit-in at the top of the Colosseum in Rome on Saturday to protest against job losses, threatening to jump off if police attempt to seize them. A doctor treated one of the seven - dubbed "gladiators" by local media - who apparently began suffering the symptoms of heat exhaustion. Rome - Italy's jackpot craze hit feverish levels Thursday as Europe's biggest lottery prize in history - 131.5 million euros - went unclaimed. None of the millions of players had the right combination of six numbers in a field of 1-to-90 to seize the coveted treasure. That means the Superenalotto now climbs to 136 million euros (194 million dollars) for the next drawing on Monday. Rome - Italy's tax office has confirmed it is investigating the inheritance of Gianni Agnelli, the late Fiat chairman and patriarch of one of Italy's richest families, following reports that at least 1 billion euros (1.44 billion dollars) in assets may have been illegally stashed in Switzlerland. The Agenzia delle Entrate's director Attilio Befera was quoted as saying by a newspaper Thursday that tax inspectors were seeking clarity on the "existence of assets abroad that have not been declared". Rome - Italian Foreign Minister Franco Frattini denied Monday that a ransom was paid to Somali pirates who freed the crew of an Italian ship that had been held hostage in the Gulf of Aden since April. 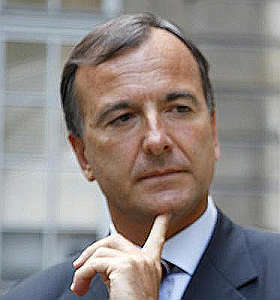 The release on Sunday came about in the most "simple" way possible, Frattini said in a television interview. "The pirates simply retreated," he said. Rome - Italian cyclist Danilo Di Luca has tested positive for the latest generation of the blood booster EPO twice at this year's Giro d'Italia and faces a long ban, the Italian cycling federation FCI said on Saturday. The FCI said that examinations of the b-samples confirmed the presence of the substance CERA. The 2007 Giro winner Di Luca, 33, faces a four-year ban as it is his second doping offence, and is expected to end his career.